Poodle, along side his bride-mom and groom-dad, poses for a photo in his green polka dot bow tie. I love when couples bring their pets to their photo sessions, and even more fun, to their weddings! This couple has a job that requires their images to stay off the world wide web and especially social media, and I always respect the wishes of my clients who choose to not be online. 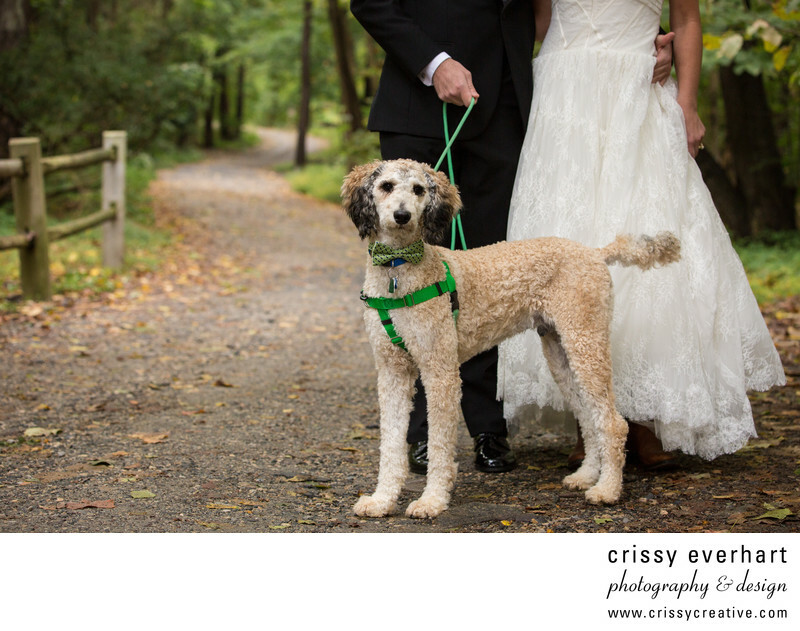 They did give permission to post this image of their beloved poodle, as well as decor photos from their gorgeous Montgomery County wedding.